Summary of the project: I worked in Lilongwe (Malawi) researching, recommending & implementing changes to improve the Entrepreneurs Programme Strategy to give the youth an opportunity to change, to go on to run their own businesses and earn their own money. Chloe works in Business Development at Octopus Investments, managing the distribution of financial products on a national level. Over the last three years, she has worked hard to build strong relationships with financial advisers, educating them on the complexities of alternative investing and ensuring they are best placed to recommend such investments to their clients. Octopus Investments specializes in small company investing and developing sectors such as: renewable energy and healthcare. Helping these sectors to grow, in turn benefits the UK economy. 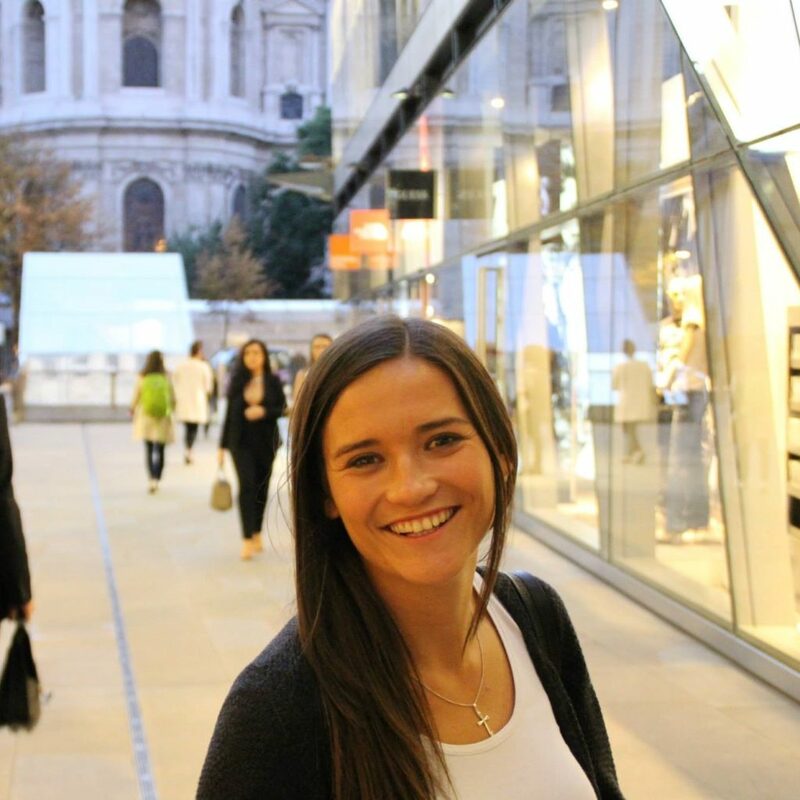 Before life at Octopus, Chloe studied law at the University of Manchester. Her degree taught her the importance of listening to other’s views, influencing others and analyzing and evaluating situations. Outside of her studies, Chloe volunteered at the local legal advice centre, providing free legal advice to those in need. She found this to be both an educating and rewarding experience. After graduating, she ventured to the Canadian Rockies to pursue her passion for skiing. Whilst there she worked for the Whistler Blackcomb, arranging ski lessons and ski camps for the tourists. When abroad, Chloe pushed herself out of her comfort zone. You would often find her throwing herself down an ice-track headfirst. Since arriving back in London, Chloe prefers the quiet life… regularly attending Pilates classes, travelling abroad, exploring new places and when she gets the chance to return back to her home town in Cheshire, enjoys taking her labradoodle puppy for walks along the river. Chloe spent a month in Malawi in April 2018 working with Chance for Change. She helped them develop their enterprise strategy and program, empowering young offenders to become entrepreneurs and take charge of their future. You can read her case study here.